1Faculty of Home Economics, Minufiya University. 2Food Technology Research Institute, Agricultural Research Center, Giza. 3Faculty of Education, Suez Canal University. 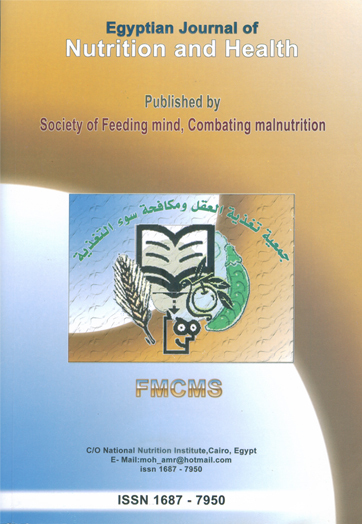 The present study was carried out to evaluate quality of yoghurt collected from the local market in Cairo, Giza, Gharbia and Minufiya governorates and to compare it with the manufactured yoghurt using Bifidobacteria bifidum (B. bifidum) added to normal starter. Physicochemical, microbiological and organoleptic properties of all yoghurt samples were determined during 12 days storage period in a refrigerator. The results showed that yoghurt collected from Cairo and Giza markets contained less content of total solids and fat than that collected from Gharbia and Minufiya markets as compared to the manufactured yoghurt using B. bifidum. Microbiological examination revealed that the total viable bacterial count was less in yoghurt collected from Cairo and Giza markets than that collected from Gharbia and Minufiya markets. The coliform, mold and yeast count was nil or ignorable in all yoghurt samples till 6 days of storage, then these microorganisms were detected on the 9th and the 12th day of storage period. Organoleptic properties showed that the yoghurt collected from Cairo and Giza markets has higher sensory scores and more acceptable than that collected from Gharbia and Minufiya markets. The manufactured yoghurt using B. bifidum has the best quality and high degree of acceptability by consumers.